GKR-2011 AUVIS - Blue Max Lighting & Emergency Equipment Ltd. 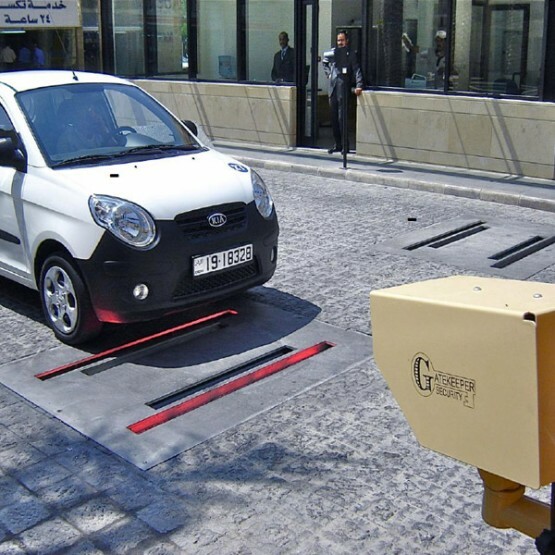 The GKR-2011 AUVIS is the embedded solution for the fully automatic identification of threats or modifications to a vehicle’s undercarriage. The GKR-2011 AUVIS is the embedded solution for the fully automatic identification of threats or modifications to a vehicle’s undercarriage. Vehicles drive over the environmentally sealed, dual view scanners while Gatekeeper’s systems scan and compile two high-resolution, virtual 3-D digital images of a vehicle’s undercarriage to create the vehicle’s “fingerprint.” Two views make it easier to see any threatening objects that may be hidden on top of an axel or crossbeam. An overview/driver camera captures the normal view of car/driver and displays this on the high-resolution touch screen. 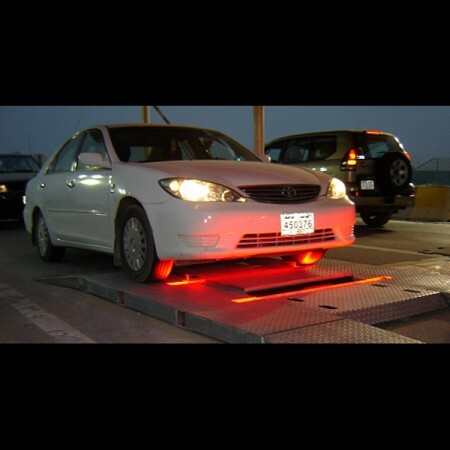 After the vehicle has cleared the scanning device, it only takes 2-3 seconds for Gatekeeper’s Automatic Foreign Object Detection software to automatically compare the subject vehicle’s undercarriage to a safe vehicle (stored in the database) and display both on the screen. The system then immediately identifies any threatening foreign objects or modifications to the undercarriage by circling them with a red ring (see below) AND activating an audio and/or visual alarm. The operator screen displays the overview/driver image in color (above, left). The undercarriage views are displayed in monochrome (above, right and below) allowing for more pixel detail and thus better resolution than color images. Since Gatekeeper’s automatic systems rely on computers to analyze the images and not the human eye, monochrome is superior to color. The GKR-1011 AUVIS is the mobile solution for the fully automatic identification of threats or modifications to a vehicle’s undercarriage. 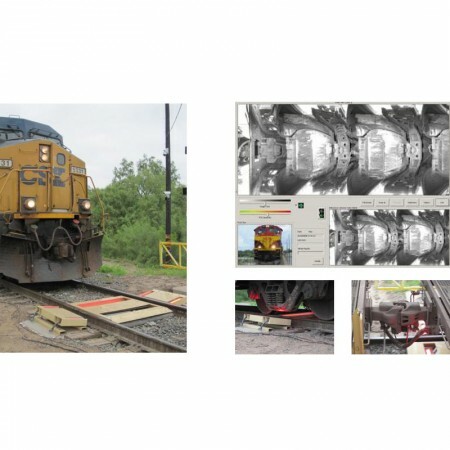 The GKR-TR11 Automatic Train Undercarriage Inspection Systems does as the name suggests; automatically inspects the undercarriage of a train’s rail cars.